ugh they look a bit…different) have some tasks of merry pranking for you to complete in each of the first alliance zones. Jester Ayrenn desires her subjects to cheer up outside of Vulkhel Guard. Jester Emeric has a dazzling, if slightly dangerous, task for you to complete outside of Glenumbra. Finally, Jester Jorunn wants your help wooing a princess with sweet meats near Ebonheart in Stonefalls. Complete each of these 3 tasks, and you shall be crowned Lady of Misrule! (No seriously, there’s an actual crown.) All you have to do to get started is go to the Crown Store and pick up the quest scroll (free, as usual) to help you on your merry way. 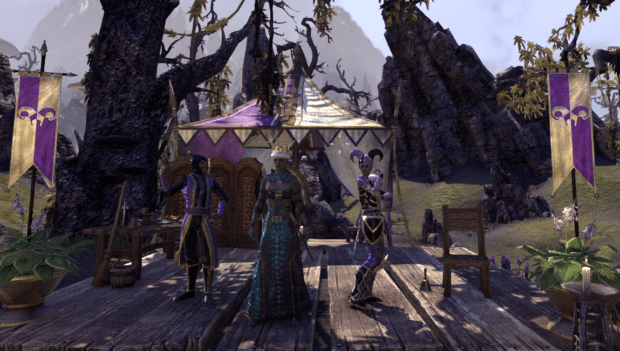 Before I spoil the quests as much as the food on the Jester tent tables are spoiled (those spoiled bananas might make good banana bread), a quick overall review of the festival after my first day experiencing it. 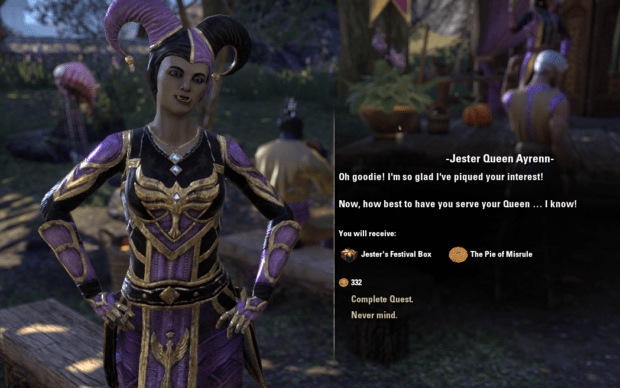 The Jester’s Festival began on March 23, 2017 and will continue until April 4th. The dates are apt, considering April Fool’s is right around the corner. Personally, I’m not a fan of jesters. They remind me too much of clowns, of which I have an irrational fear. However, I know many players are absolutely stoked to engage in silliness, buy a garish costume, and pick up the personality. One improvement upon this festival for me has been the lack of crashing while trying to travel. I did get 3 load screens near the tents while on my mount, but they disappeared within a few seconds. I do actually appreciate that the festival is not quite as large as the New Life Festival. Although the holiday season merits a much larger party, doing almost 10 quests every day for a couple weeks became tiring. I am also happy that no crafting motif is connected to this festival. I’m behind as is, since my new account is only 4 months old. (And several friends of mine that have been playing for more than 2 years are tired of trying to keep up as well.) In short, the smaller scale (it took me 45 minutes to complete the 3 daily tasks) makes for bigger fun. Note: From here on, spoilers will abound! If you’d like to experience all the mischief first hand, turn your rubber pop-out eyes away. your toon a 100% experience bonus for 2 hours. It can be found in your Collections under Mementos and used as many times as you like during the festival only. After the festival, you can still eat the pie, but it will no longer grant the experience buff. I am happy that it is a memento instead of at a festival tent itself, which adds to lag on the server. After completing the intro quest, which won’t have to be done again on my main toon, Jester Ayrenn went straight into her task. She will send you to three locations within Auridon to cheer up her subjects. Pro tip for those who are new: If a festival quest is sending you somewhere you have not been, you do not necessarily have to walk the entire way. You may ask in zone chat if someone will group with you to allow you to travel to them, which will drop you at the nearest wayshrine. This option is still not preferable to me, as some players take the mischief of the festival a bit too far. Even better, and possibly easier, is asking for help from a member of a guild you are part of. Many guild members are often happy to help other guildies out when our toons haven’t discovered an area yet. Another option is to open the guild roster (press G, choose a guild from the drop-down menu if you have more than one guild, and click on the roster tab). Do you see a member online in the zone you’d like to travel to? If so, you can right click on that guild member’s name and click “Travel to Player”. This will let you travel the nearest wayshrine to that toon for free. This may be a less accurate option, as you will not know where in the zone that person is. In a pinch, or for those of us who are terrified of asking for help, it is an option. After you have cheered up enough subjects, you will receive another gift box and Jester Ayrenn will suggest that Jester Emeric is needing help in Daggerfall. In this gift box I received a green quality festival recipe and the Jester’s Standard. (For those who don’t know, a standard is a ceremonial flag carried on a pole. This standard is a housing item that can be placed in your home!) From here, you can travel to Daggerfall, Glenumbra and begin the next quest. Jester Emeric, who loves joking about his wife, wants you to gather the ingredients to make dazzlers. To do so, you must travel to 2 nearby solo delves and defeat enemies or find the ingredients laying around. This quest works just fine as the solo delves are instanced, and only so many players will be in there with you. Therefore, your chances of getting to gather quest items are high. After doing this, you will need to go dazzle audiences in the city of Daggerfall. The gift box from this quest gave me a purple quality treasure dazzler and the regular dazzlers which can both be quickslotted. After Jester Emeric points you to Ebonheart, Stonefalls, you will go complete your final quest for the day with Jester Jorunn. For this task, you must woo a princess by stealing sweet meats (yes, it will give you a bounty if you’re caught) and feeding them to her. Oh, but here’s the spoiler- you’re wooing a pig called Princess. And you’re stealing the pig. The butcher will not be pleased about you stealing her prize, so you must get the pig to Jester Jorunn without being caught. If the butcher does spot you as you run through Ebonheart, you will be given a bounty of 46 gold. Basic pro-tip before doing this entire quest- sell any stolen goods before you begin or risk losing them to the Ebonheart Guard. Even if you are caught, you can still return with the pig, you’ll just have a bounty on your head because of it. However, if you can manage to get through the city (keeping at a brisk pace before you can be spotted helps) without being caught, you can get an achievement to go toward the Royal Jester title. After finally getting Princess to Jester Jorunn, I received a gift box with the same green quality recipe I had received before as well as some more dazzlers. 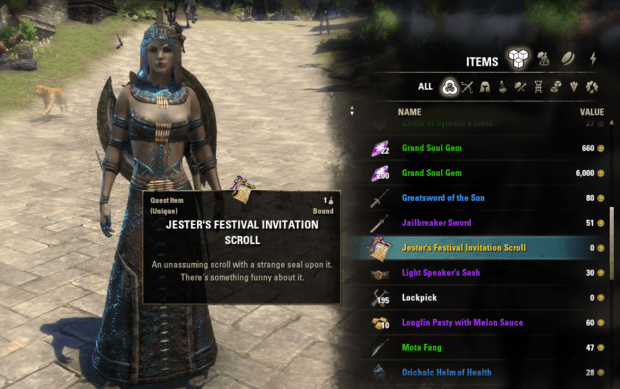 Since this was also the final festival quest of the day, I also received the title of Lady of Misrule and the Jester’s crown! The crown is pretty cool. It’s a shiny gold king’s crown with a purple dome in the middle and a white fur border that rests atop your head. I did confirm that you can dye this crown! 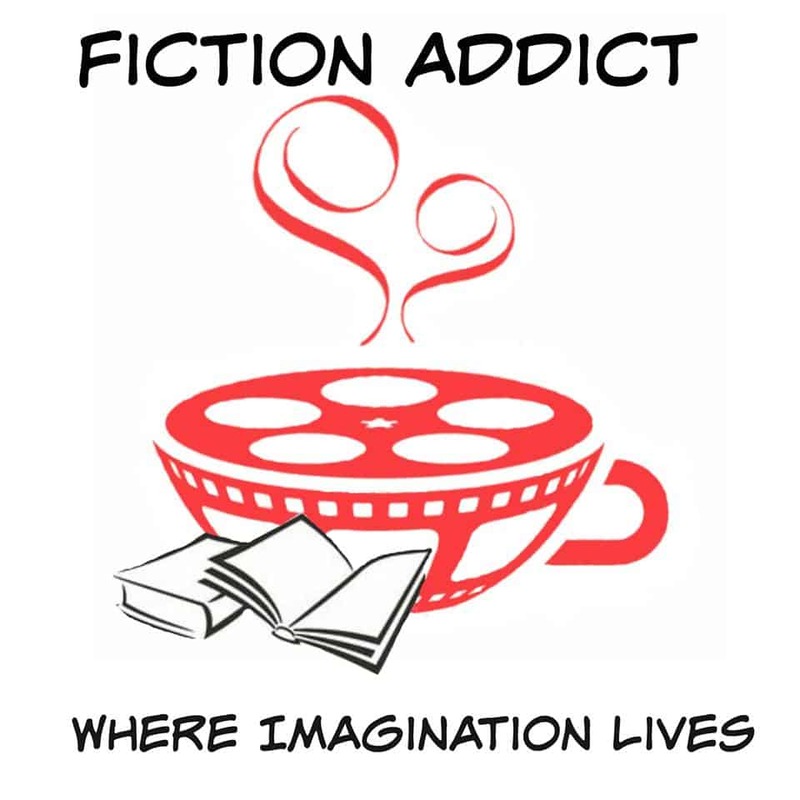 So you’re an achievement junkie as much as I am, right? Of course you are! The list of achievements for this festival are not too lengthy, and I’ll let you overview them yourself for details. Basically, there are 6 achievements you need to complete in order to get the title of Royal Jester. A couple of them will not be able to be completed in one day (unless, I guess, if you purchase what you need from other players). There are 4 recipes associated with this festival, 1 green, 1 blue, 1 purple, and I haven’t seen what the 4th is just yet. If and when you receive this title, there is a home achievement vendor for that! You may have spotted her in the alliance capitals before (Elden Root, Wayrest, and Mournhold), a Nord named Heralda Garscroft. There are 2 Jester’s trees that look similar to cherry trees but are perhaps warmer in color. One is larger, the other is smaller and neither can be purchased without the Royal Jester achievement. However, you can receive these trees in your reward gift boxes. Naturally, the ones from the gift boxes will be tradeable, but the achievement vendor items will be bound to your account. So did you get all of that? Even for a smaller festival, there is still much to do and talk about. There are other items from gift boxes I have not mentioned, as I have not received them yet myself. I’m sure you’ll see those and other festival items being sold in zone chat already. Either way, and all-in-all, this festival was a nice reprieve from the daily grind. Last tip- don’t forget to loot the trunk and backpack in each festival tent. Those items are not stolen items and may provide a recipe. Also, if you eat the spoiled food, joke’s on you. Happy Jester’s Festival!